Sonia Jetleey designs for the Modern Woman, who knows is ambitious, driven, graceful and yet respects her roots. She is known to strike a balance of the international trends with the Indian Sensibilities. Each garment is self-narrative of the design process, right from the conceptualization stage to its execution. Since the inception of her studio, in Delhi’s prime location, Defence Colony, Sonia has dressed the most successful women in different walks of life, namely, Home-Makers, Pilots, Entrepreneurs, Fellow Designers, CA’s, Bureaucrats, et all. 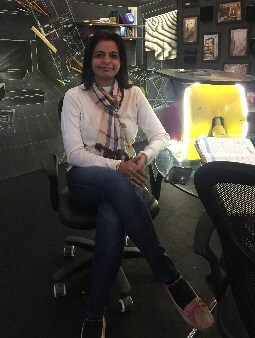 She is extremely quick in gauging what her customer is looking for and never fails to impress them with a wide array of designs and what gets better is that she has perfected the art of customizing a product for a customer in order to make them feel that they own a ‘one in a million’ design. 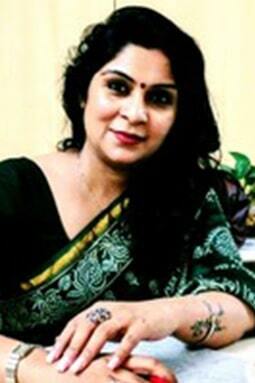 Sonia is a Registered Member of the Fashion Design Council of India (FDCI) and very religiously has been participating in the fashion weeks held by the fashion body. A Graduate in Business Administration, Sonia studied courses in fashion design from Sophia Polytechnic, Mumbai and NIFT, Delhi. She made her debut in 2003, via a fashion week organized by the FDCI.In August 2004, Sonia showcased on an ICCR platform, via a series of four fashion shows entitled “Princess of India” held in Tashkent and Almaty, clearly the first Indian fashion show which started a Historical – Cultural Revolution. The Collection was well received by both the partnering countries. Sapna Aggarwal, a young & dynamic entrepreneur, is the proud owner of the leading interior designing firm, Ansa Interiors. For fifteen years, she has boldly mixed eras and cultures from across the world with magnificent designs in enriching colors as a residential and commercial interior designer and consultant. She has designed countless homes and offices into personal, classy & chic spaces with the elegance in taste & innovation in designing. The interiors designed by her represent a unique panorama of elegance, style and conventional approach to match up to the needs of the interiors and choices of the clients. From space planning to decorating & designing, Ansa today offers everything, be it for residential or commercial space. Writing regularly for magazines like Society Interiors, Ideal Home and Garden, New Woman, India Today, And Persand, Horn Ok Please, Ping, Wedding Affairs, Perfect Woman, Better Homes, Fusion Life Inner and Sattva. Anchored few shows for some leading news channels like Zee Business- Property Plus, Zee Business- Business Street, VIP News. 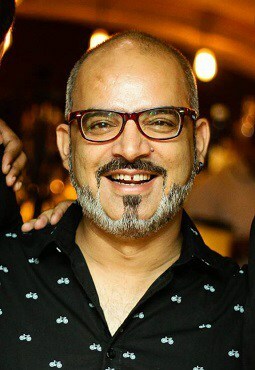 Sharad Mohindru is an Architect-Transport Planner with B.Arch from IP University Vastukala Academy, Delhi (2002) and Master’s in Transport Planning from School of Planning and Architecture Delhi (2005), has more than 12 years of professional experience in Transportation Planning and Architectural Planning. He has worked on prestigious transport projects underway in Delhi and abroad, which involve his skills in Bus Rapid Transit Corridor studies, Railway station studies, Micro simulation, traffic signal optimization, Traffic due diligence studies, traffic management schemes at post operation and during construction, geometric designs, signage planning and road safety. He has worked on projects like SMART city, Bus Rapid Transit (BRT) feasibility studies, Light Rail Transit (LRT) studies, Personal Rapid Transit (PRT) feasibility studies, comprehensive Mobility Plan, Intelligent Traffic signalling, Traffic management, Parking and Pedestrian street Planning, Redevelopment of Railway station, due diligence and impact assessment studies using Microsimulation, Traffic Demand and Toll Revenue studies, Bus Terminal and Depot Planning, pedestrian and non-motorized transport (NMT) planning. He has worked with various government organisations, professional consultancy firms, developers and commercial retail clients. He has contributed and presented in National and International Transport journals and forums. Former PTV Certified Trainer (2013-2014) for the micro simulation tools – VISSIM (micro simulation), VISWALK (pedestrian simulation) and VISTRO (traffic impact assessment tool). He was also visiting faculty in School of planning and Architecture Delhi for Applications of Micro simulation in Transportation Planning (2012) and Deenbandhu Choturam University, Murthal Haryana for Architectural Design Studio (2014). Won First Prize in the category of ‘SMART SOLUTIONS FOR TRAFFIC PROBLEMS’, a competition organised by Ministry of Urban Development, Government of India, June,2015 (https://blog.mygov.in/mera-shahar-mera-sapna-competition/). Received prize from Hon’ble Prime Minister Shri Narendra Modi ji in the function held at PM residence on 01st July’2015. 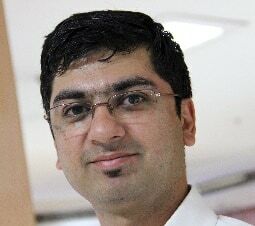 Sharad Mohindru working experience covers projects across India, Qatar, Abu Dhabi and Mauritius. 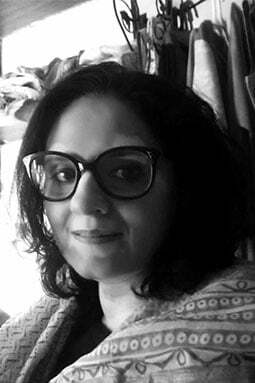 Graduated from NIFT with an industry experience of 8 years, Himadri Abrol is an ardent fashion designer specialized in Womenswear and Kidswear. 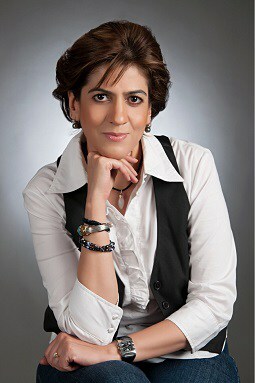 She started her career as a Fashion designer and worked closely with the Export industry. She has worked for Radnik Exports, Jayshree International, Krishna beads, Gudi Exports among others. She diversified her career and ventured into Academics with Just Designs Institute adding a new flair to her professional dynamics.Currently heading the design department at Jayshree International. Anupama Datt, a veteran in the fields of fashion designing and entrepreneurship, comes packing with her insights from over 25 years in the industry, working with some of the leading fashion houses and fashion labels in India and abroad, both. Starting young as a self-taught designer, she was quickly appreciated for her skills and awarded with prestigious titles such as “Best Indian Outfit Designer” and “Most Practical & Wearable Designer” in the All India Fashion Designer Contests in the early 90s. Anupama isn’t just proficient in design, illustration, pattern-making, draping & construction in Indian formal wear, Saris, Salwar- Kameez, party wear, ethnic wear, party wear, etc., but has also successfully dabbled in the creative fields of home furnishings & accessories, jewellery designing, and her passion from young ages – sketching & panting (with multiple private commissioned works on display with a varied roster of clients). Apart from being all of these, she also possesses extensive knowledge in establishing and growing businesses from the ground up, having only recently exited her long-running fashion house as the sole founder and Creative Director. Having earned herself a reputation as a hard-working, result-oriented professional in the fashion industry, it’s her aim to help impart some of her valuable insights and traits to young students eager to carry the torch forward. 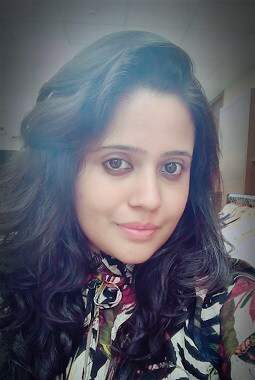 Ranjna is a CELTA certified trainer for language and soft skills, currently working on various freelance assignments. The hallmark being the programs at Indigo Airlines, SOIL and Asia Pacific Institute of Management. 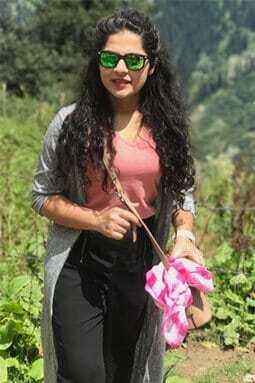 She is Post Graduate in Business Administration and Graduate in Catering technology with 10 years of experience in Training and Sales with various services organizations like ITC Hotels, Idea Cellular, Citi Financial and Heromindmine. In these 9 years she has acquired an in-depth knowledge of Customer Service, Relationship Management, Training and Head Hunting. In these 10 years of being in training and business development She has delivered the training programs across the levels and organisations gaining an edge to train result oriented teams in the areas of Sales, Customer Service, Soft skills and language. Being with training organisations, Ranjna is very adept at doing a training need analysis and customising the training content to best suit the need of the target audience. Apart from this she can add value right from need assessment, content building, delivery to audit & evaluation while keeping the entire focus on business. After conducting a thorough need assessment, she can offer customized training solutions that bring about positive and measurable changes in behaviour, attitudes and skills at all levels. She follows a three-pronged methodology starting from classroom training, role plays, on the job training to audit & assessment in order to create a value proposition for the organization & the individual at the same time. Makeup Artist and mentor by profession, who was initially inclined towards being a Makeup artist and therefore the transition from a BPO employee to a Professional Makeup Artist began. in her initial journey she took a step forward to learn makeup from Pearl and then Kryolan to turn her hobby into her profession. After the completion of her course, she started looking for work and got her very first break with an e-commerce company, which gave her an understanding and practical knowledge required to be a good makeup artist. Then she worked as a freelance makeup artist for about a year and a half. During her industrial tenure she got a great opportunity to work with Images Bazaar which helped her to grow professionally. She did over 200 shoots in less than a year, which is a great achievement.Now she is connected with Just Designs Institute as a Makeup Faculty.